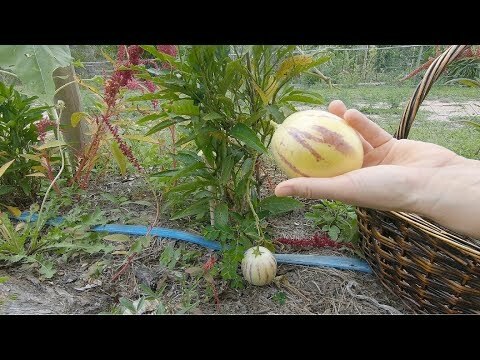 Our permaculture life, food forest, animals, gardening and food we love to cook. Combine all ingredients with a whisk or fork. Fry in some olive oil on medium heat for a couple of minutes on both sides until gold. Crumbly, moist and delicious. Exactly as it should be. There are many recipes for the traditional German Christmas stollen depends on the region it comes from and some of them require you to store the stollen for many weeks before you can try it. This recipe is for impatient people like me with little time for baking. Try it and you will love it! Set the oven on 250°C on upper and lower heat. 1 fresh and clean lime or lemon cut into smallest pieces including skin! Combine all ingredients into nice and smooth dough. Cut in half and form two nice loafs. Please on a baking paper on baking tray or into two baking forms. Turn the oven temperature down to 170°C and bake for about 60 minutes. Take out of the oven when ready, coat immediately with 50g melted butter and thick layer of pure icing sugar on top. Leave on the kitchen bench until cold, then wrap in an aluminum foil and leave over night. Enjoy! Also known as 'Yard Long Cucumber'. Light-green, ribbed, cylindrical fruit 20-60cm. Thin, soft skin, so no need for peeling. Best results when grown on trellis. Armenian cucumber plants prefer to grow in full sun for most of the day. The fruit is most flavorful when it is 12 to 15 inches (30 to 38 cm) long. Grows quickly. This cucumber is actually a melon, but is grown & eaten like a cucumber. It is the very first time for me to grow and taste the Armenian Cucumber. I am very amazed with this plant and I will add it to my list of regularly grown annuals in our food forest. 3. Garlic, cleaned and chopped or shredded on the smallest holes of your shredder. Mix shredded pawpaw with salt and garlic in a large plastic bowl while pressing and squeezing it with each move with your hands. Press to the bottom of the bowl and leave covered for about 30 minutes. Move and press it into a fermenting jar firmly so the entire juice stays on top of the jar. You should have enough juice to cover the shredded pawpaw in the jar. If not, boil one cup of water with one teaspoon of jar, cool down and add to the jar. Important: No pawpaw pieces should float on top. All your fermenting veggies should always be kept under the juice so they have no air contact.The best is to cover the pawpaw with some clean cabbage or kale leaves. I have once kept it under the fluid with some celery sticks. it works as well! Let it ferment until ready. It takes about 10-14 days. Keep in fridge from then. Enjoy! Once you started to use this fertilizer, you will be amazed about the result! Especially if you don't have the best and richest soil or you just started with growing veggies, this simple and natural fertilizer will help you to grow the best, strong and healthy veggies. Important! Never put any manure on top of the soil. The manure, especially if not composted long enough, may contain bacteria and pathogens that are harmful to humans, such as salmonella and E. coli. If you put the manure on top of the soil, your plants and produce may get contaminated and you may get sick. The roots need it, not the top of the plant. The tub where you prepare your fertilizer needs to be water tight so no water can get in or out. Place the tub in a far corner of your garden where you usually don't sit. It might smell at the beginning if the lid is not 100% air-tight. Once you start use this fertilizer, you will be amazed about the result. Basic, simple and you can plant your veggies straight away! 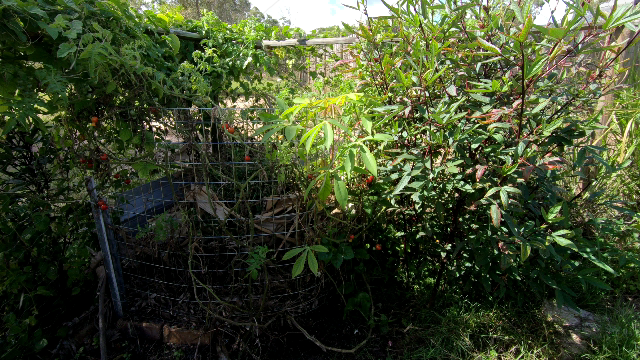 This raised veggie patch is what I have already done many times and its working great! 12 pcs size 4.8m x 100mm x 12mm (for the veggie patch walls/edges attached to the frame and outside where these two different nets meet. The net is a High Density Polyethylene (HDPE). HDPE is used to make bottles for fruit juice, milk, water and kitchen cleansing products, 50 mesh 80 GSM so totally save for growing veggies. If you are in Australia, you can contact me if you want to buy this mesh. 1. Combine, cover the bowl and leave in the fridge over night. 2. On the next day, place in a cheese cloth or clean tea towel, rinse under clean water and squeeze to get as much fluid out as possible and move back into large bowl. Spread 2 tbsp whole pepper and put aside. 3. Bring to boil 3 cups of vinegar with 1.5 tsp salt and 1.5 cups raw sugar. Put aside. 5. Combine all ingredients except the vinegar brine. 7. Pour in the cool vinegar brine and seal the jars. 8. Leave in a fridge for at least 5 days before serving. You can keep it in fridge up to 2 months. Grated potatoes, one onion, couple of eggs, salt, pepper. Combine all together and set aside for later. Watch the video how its done and enjoy! Relocating Chickens To New Food Forest - Best Chicken Coop Ever! Winter and few frosty nights in our subtropical food forest here in QLD Australia. This is the result now... Cannot wait for the recovery which will hopefully happen very soon! Meanwhile, making the best out of it. Cook on a low heat for about one hour or until the mix looks translucent and sticky. I usually use a stick mixer just before the end of the cooking time to smooth it up but this is optional. It is an orchard and bamboo paradise! I was visiting my friend in Childers QLD which is 30kms away from our place and took the chance to make a video of her beautiful place. I hope to visit her in Spring or Summer again when the trees are flowering and have fruits. Enjoy the tour! Maria also showed me how to marcot fruit trees. I will add this video soon! Rosella is an amazing plant. You can eat the leaves, the calyx are great for tea, jam or to add into dishes. 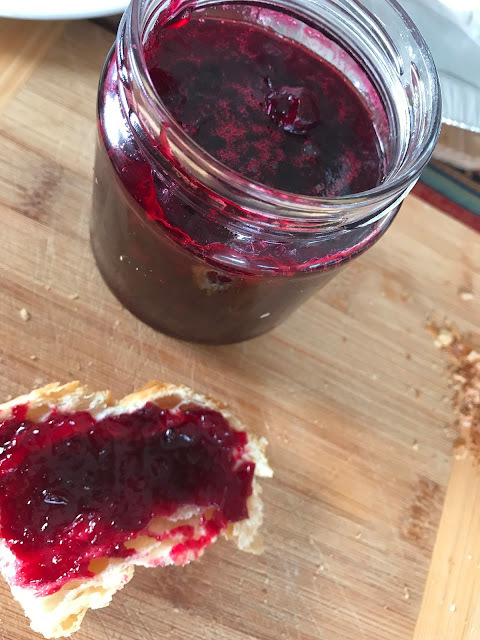 After trying few different recipes how to do Rosella Jam, I have found my own way to make it simple, quick, easy and delicious. There is no need to cook the seedpods to add some pectin into your jam. The calyx got more than enough of it as well. Remove the seedpods from the Rosella calyx. You can cut or blend the calyx into small pieces if you like but I like my jam with some bigger chunks in it. Take 1 1/2 cups of raw sugar, 1/2 cup of water and juice from one lemon per 4 cups of fresh Rosella calyx. Cook it on low heat until reduced to your liking :) Check the consistency on a cold plate after 15 minutes of cooking. Most of the time I'm having about 6 cups of fresh Rosellas to cook and the jam is ready to fill into the glasses about that time. The best way for me to sterilize the glasses and lids is to rinse them with boiling water after cleaning them. Melt butter on medium heat, add onions. Cook for a couple of minutes until the onion becomes translucent and start to smell nicely. Add garlic and all spices and cook for about 4-5 minutes while stirring until the spices start to release their beautiful flavor. Add the meat and all veggies, stir through and cook for about 2 minutes. Stir in between. Add coconut milk, curry leaves, salt and pepper. Bring to boil, reduce the heat to very low and simmer until the meat is tender for about 2-3 hours or longer if you cook it in a slow cooker. Mix the sour cream with little bit of water and stir in just before the end of cooking time together with spinach leaves. Add water to the sugar, mix it through. Melt the sugar on low/medium heat steering in between so it does not burn on. Add the limes and bananas and simmer on low heat until ready stirring in between. You can blitz it or mash it with potato masher. Fill into the prepared jars and close immediately. Keep in the pantry for up to 6 months. This is the best way to sterilize jars. I am doing it for years and never have any issues with my preserves keeping them for months. That is why it was important for me to share it with you as it will safe you lots of time.